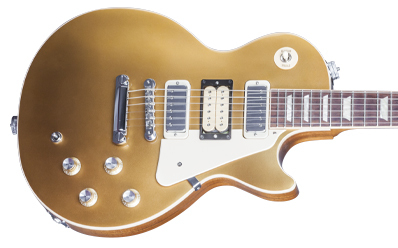 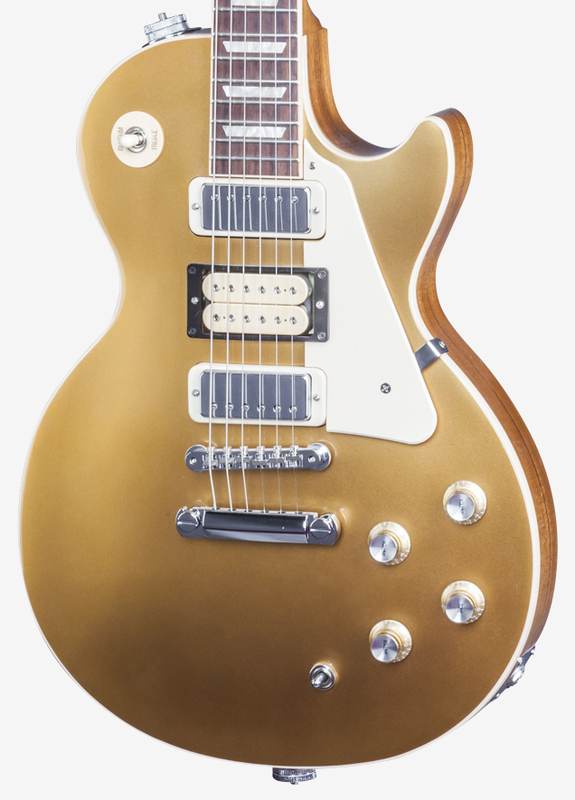 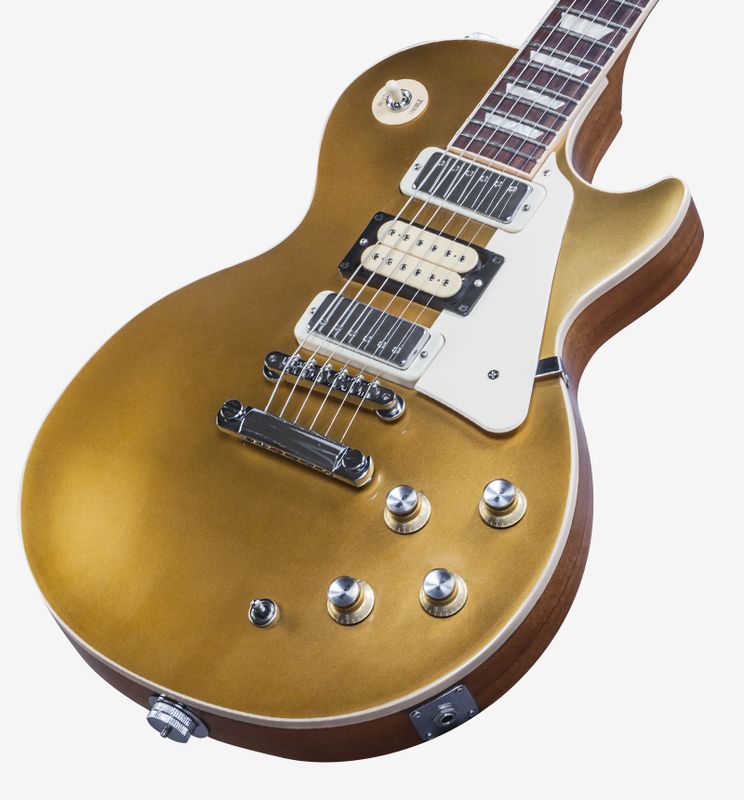 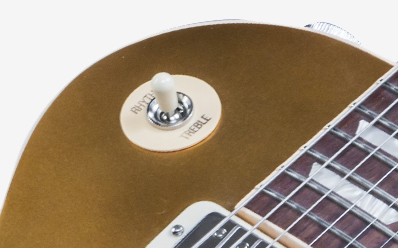 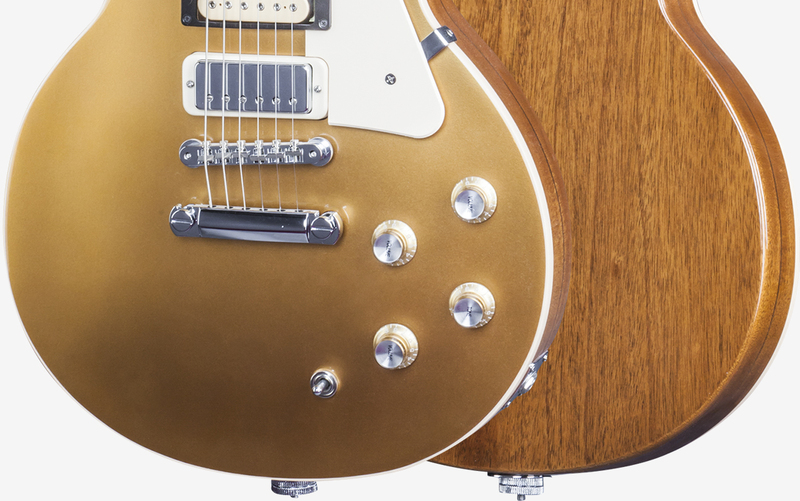 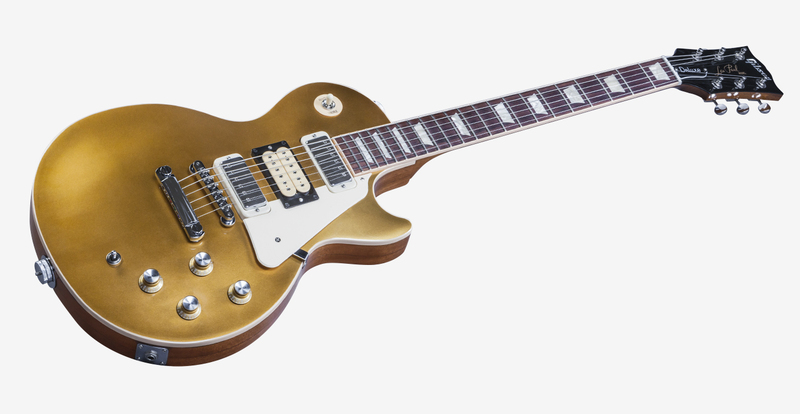 Original '70s construction techniques bring to life this '76 Les Paul Deluxe Goldtop, based on a guitar originally played by Pete Townshend on stage and now displayed in London's Victoria & Albert Museum. 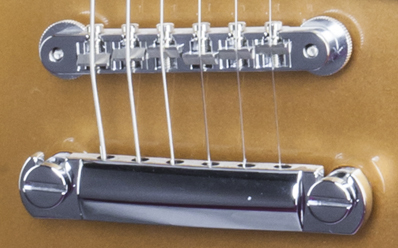 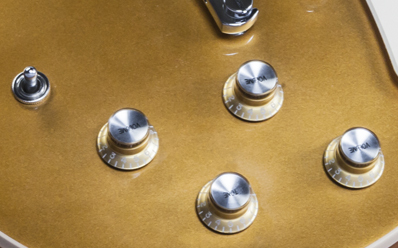 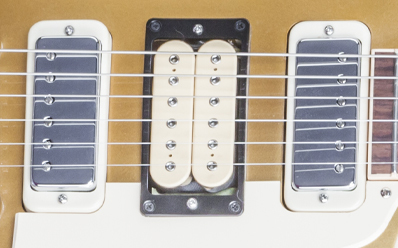 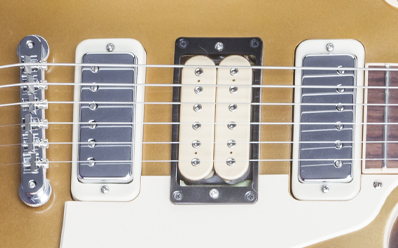 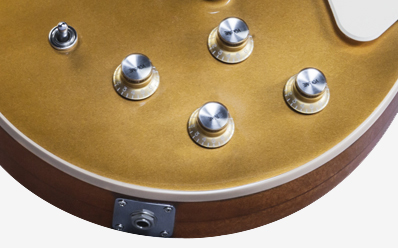 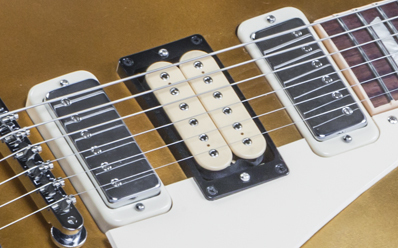 Pete's beloved DiMarzio Super Distortion humbucker joins two Mini-Humbuckers for modded tone. Limited to 150 units only! 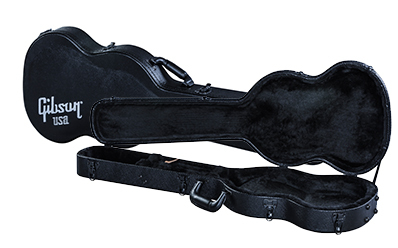 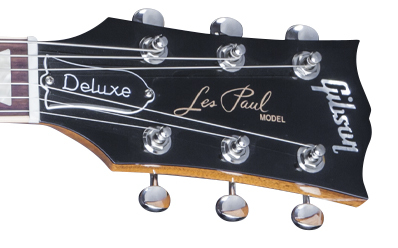 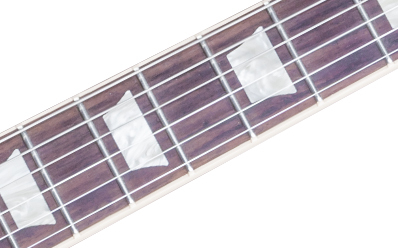 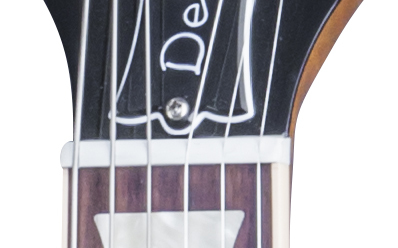 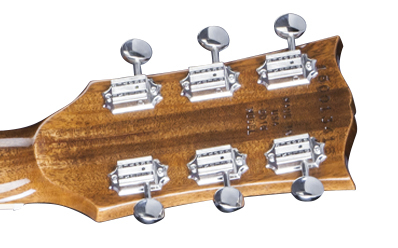 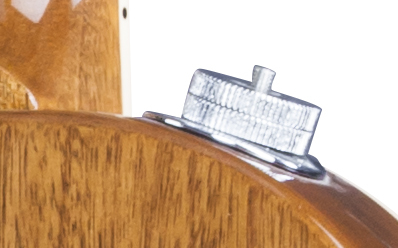 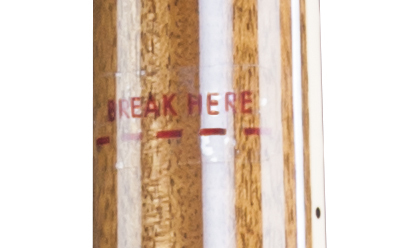 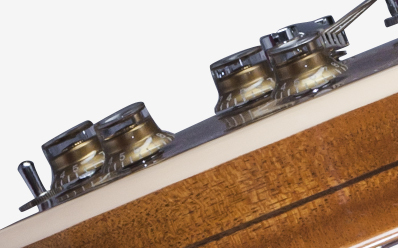 Thickness at Fret 12: .930"
Inlay: Mother of Pearl "Gibson"
Weight: 36 gm / 1.4 oz. 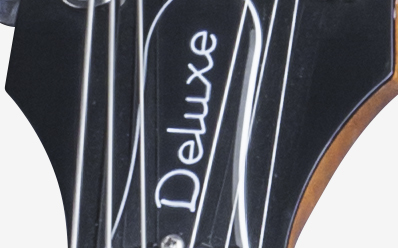 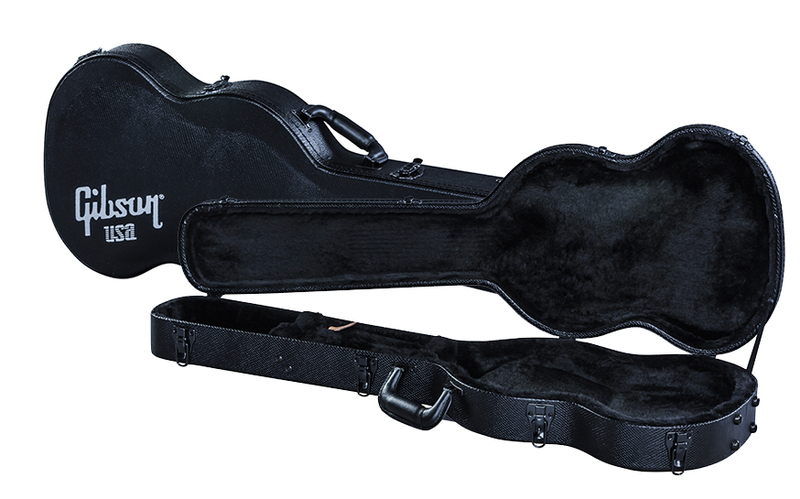 Style: black/white bell hot stamp white "Deluxe "